"Excellent Disaster Recovery Partner and Solution"
Bluelock's solutions work as advertised. The Bluelock team becomes an extension of the internal IT department and works closely to implement a tailored solution. Once implemented, they are constantly working with you to maintain the solution and verify that it continues to meet the needs of the organization. The solutions they offer are extremely flexible. Everyone from sales to technical support is knowledgeable and available to help in any way. I've been dealing with IT vendors for almost 20 years and Bluelock is one of the best. The solution can be a bit costly for smaller organizations but the amount of time and hours saved using Bluelock easily offsets the costs. Schedule a call with the Bluelock team and explain your goals. Bluelock will find the right solution and help implement it. We've had many disaster recovery solutions over the last 15 years. All of them had different challenges and none worked exactly as advertised. We were asked for a solution that we could flip a switch and our disaster recovery environment would work. There are a few additional steps besides 'flipping the switch' but for the most part, it is that simple. The best part is that our disaster recovery tests are always successful. The solution is also extremely flexible making it easy to update with an ever-changing environment. "BlueLock was a trusted advisor for our DR planning"
We needed a hybrid solution that was pretty complicated, and BlueLock was one of the few vendors that was creative enough to find a solution to meet our needs. They approached our DR challenges as a business solution consultant so we worked together to determine how to proceed. We were not sold a one-size fits all product. We also appreciate BL's white-glove service platform, which allows our executive and technology teams to rely on them for expert guidance and support. The sales team and implementation team have been engaged, committed and trusted advisors throughout the entire cycle from introduction to final testing. The DR process itself can be challenging and complicated, and we have encountered obstacles in the roll out, but nothing related to BL's level of service or care. They have been wonderful to work with and I recommend them as a vendor for DR and back up solutions. We are trying to ensure that our clients' needs and expectations are met, even during a disaster. We have to be willing to invest in the tools needed to stay competitive and BL allows for that. I feel confident with the product, service team, and BlueLock as an organization that they will support us and our clients in a disaster, which is when you need your DR vendor the most. "It was AWESOME implementing BlueLock with it's Team"
The commitment of the BlueLock Team to push the project forward was amazing. So far everything is great, I have no complains. It's an spectacular solution with so many possibilities on their back-end. Personally I celebrate the fact that they can maintain the replicated network as it is on your end, maintaining the VLANs configuration and the fact that you can run custom scripts at the beginning of the playbook run to configure the environment. The requirement by the Board to have a "ready to deploy" backup of our releasing infrastructure that will increase the confidence of the funders on the company. "Bluelock is a stellar managed VMware Hosting Provider"
Bluelock's best asset is their people. From project managers, to implementation specialists, to network guys, all have been top notch in their roles. I also like that we can carve up our resources and perform many tasks on our own. I would like access to the underlying vCenter API to enable autoprovisioning and scaling. It would also be nice to allow overprovisioning of CPU resources with QoS so we can perform testing during nonpeak periods. Bluelock allows our DevOps team to focus more on developing and less on operations. With the exception of a firewall not coming back up properly after a physical hardware malfunction, we've had zero downtime. We also subscribe to their Disaster Recovery as as Service platform, but haven't yet needed to use it. "No better product for DR exists"
The technical people working through all implementation issues are incredible! No stone is left unturned looking for solutions and the products are comprehensive in covering our needs. We drastically underestimated the backup size requirements when we first started. Our backup requirements are complex and the tools available don't quite meet our needs; we have to perform some gymnastics to get it all working. Not a bad thing, just frustrating. Get them on board! You can't go wrong with their service! 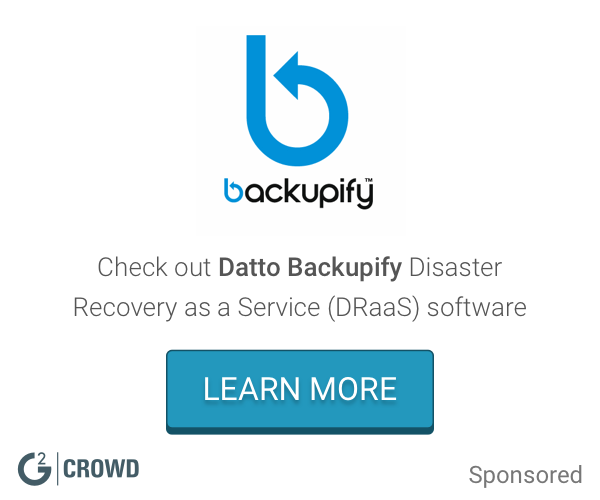 We currently are actively pursuing DRaaS in the Ready, Run, co-lo, and backup environments. The support technicians I have worked with have been great. They have all been very patient and willing to find the best solution to whatever issue comes up. Their turnaround time on tickets regarding firewall rule changes and such is great. I'm not a fan of their firewall choice, but that is more of a personal preference bias on my part. We use Bluelock as a safety net for our public website. In the event that our data center goes down, we can fail over to Bluelock to keep the website up. Over five years without major outage, excellent to work with, and great flexibility. Billing can be complex, especially as we adjust the services we purchase. Cloud hosting of our SAAS solution. Bluelock has been a cost-effective and highly reliable solution for our infrastructure, with best in class disaster recovery services. Wonderful support tailored to our level of need. That we can't use them on every client - some clients want to host their own stuff. Ability to quickly spin up and down environments and provision DR without requiring tons of inhoues talent and time. To the upload screenshot thing below - I *am* a current user/administrator, but don't have the time right now to fool with a password reset, so I had my employee get a screenshot of him signed in. "Professionals that are well organized and knowledgeable"
Pricing could be better. Locked into a committed minimum instead of actual usage. 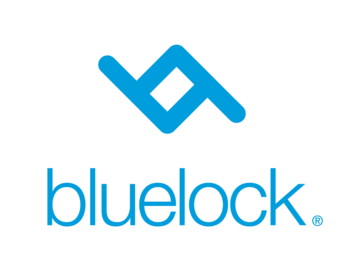 In a world with lots of companies that either are incompetent or simply don't care about performance, organization, communication, and expertise, Bluelock is a refreshing provider that cares about all of this and more. "DRAAS as it was meant to be"
Bluelock allows me to implement a flexible DRAAS plan than is constantly changing without having to continually re-architect the solution. "Virtualization system integration and deployment"
Bluelock did a great job of supporting our virtualization project from beginning to end, offering engineering and support resources all along the way. Bluelock has been very helpful. Anytime I or anyone on my team has needed any assistance Bluelock has been very helpful and always available. There have been planned outages for upgrade during business hours. Ensuring our website is always available even during a Disaster. * We monitor all Bluelock reviews to prevent fraudulent reviews and keep review quality high. We do not post reviews by company employees or direct competitors. Validated reviews require the user to submit a screenshot of the product containing their user ID, in order to verify a user is an actual user of the product. Hi there! Are you looking to implement a solution like Bluelock?